The new Botanics Market Garden produces fresh fruit and vegetables for the catering offer available to visitors and staff. Thinking about food is something we all do everyday when we get hungry. We are also increasingly being urged to think about food by medical professionals who give us advice on healthy eating. This can sometimes be confusing, and may even contradict earlier advice (of course science can work this way as new evidence overturns old thinking). The Scottish Government wants us to be a ‘good food nation’ and Scotland is certainly famed for its quality food and drink products. Think of seafood, beef, soft fruit and, of course, whiskey. Edible gardening is now the major activity in the Demonstration Garden due to the work of the Edible Gardening Project. As this aspect of the Garden has developed visitors are increasingly able to eat food grown in the Garden at the catering outlets within the Garden. 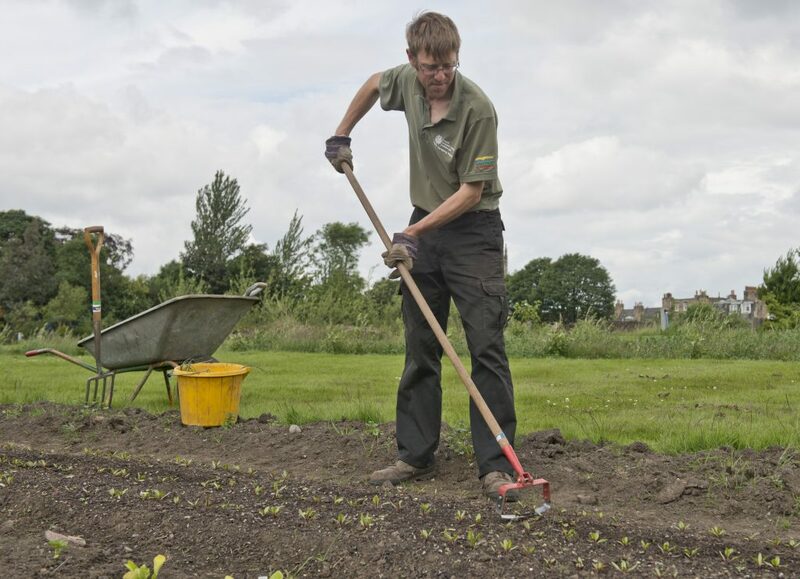 Prestige Scotland, the catering provider, is now funding a new Market Garden operation in the Nursery, just a few minutes walk from the main Garden, to supply this growing demand. What we really want to do now is find out what you think. 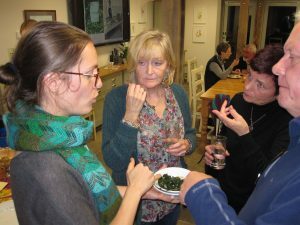 To address this question the Botanics is starting a new project to give a voice to local communities in order that their views and concerns about access to enough healthy food can be heard. The project ‘Thought for Food’ is part of the EU-funded Big Picnic that is working with 19 partner organisations across Europe and Africa. The project will work with people to identify issues and find ways to communicate them to a wider audience. The aim is to get people giving more thought to what they are eating and talking about what matters to them. Sampling produce from the Botanics. Food ought to be social so we hope that this new project will provide lots of opportunities to sit down and eat together whilst sharing our thoughts on food. 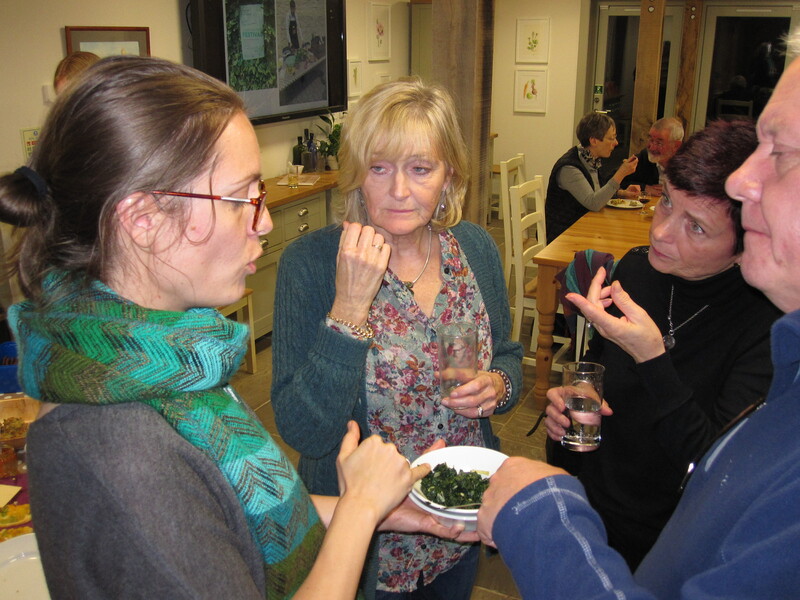 The project will get underway on Thursday 2nd February with help from community food initiatives in Pilton sharing their thoughts at the Botanics Cottage over some soup prepared with vegetables grown by the Edible Gardening Project here at the Botanics. If you have views on food and live near to the Garden this new project is here to help you get your voice heard in what is often a very noisy debate about food. To find out more email Andy – A.Crofts@rbge.ac.uk. You can find out more about the Big Picnic project and its partners at the project website and keep up to date with developments here at the Garden by visiting www.rbge.org.uk/big-picnic to see all the posts in this series. 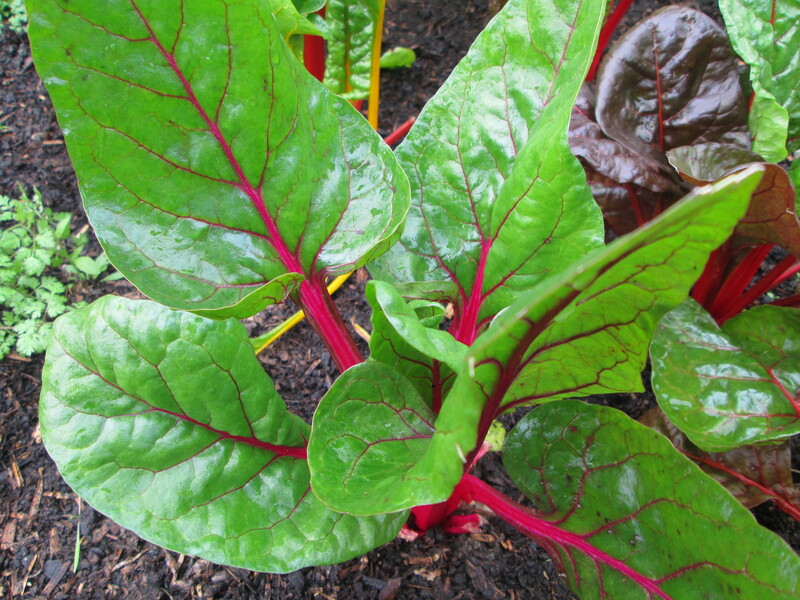 Chard growing in the Market Garden at RBGE. Nothing brings people together better than a shared meal. I think the idea is simply brilliant! Good luck with the project! That’s what we thought. Thanks for your good wishes. Everybody needs healthy and of course enough food. Cooking together and sharing the meal is fantastic! Thanks for your comment. The harvesting and cooking together was also a great way to get to know people. I hope all your Big Picnic plans are coming together. To me edible gardening is the best option if you want to avoid suspicious food sources, especially nowadays when the average supermarket is full of pretty stands with eye-catching fruit and veggies that have been sprayed with all sorts of pesticides.